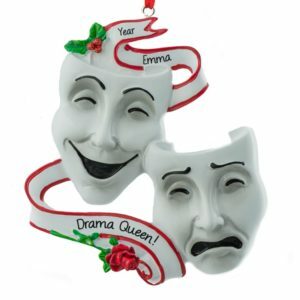 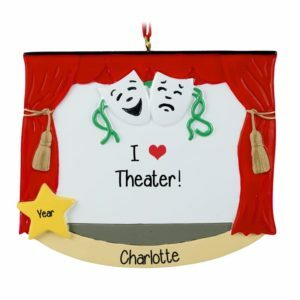 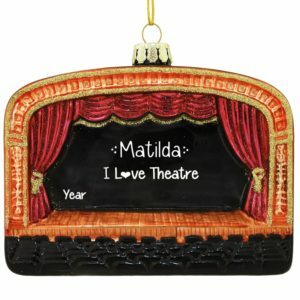 Honor the actor or actress on your holiday shopping list with a personalized drama & acting Christmas ornament. 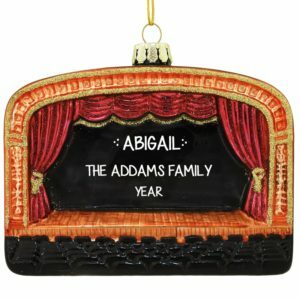 There’s bound to be a dramatic gasp when the dazzling ornament emerges from the package clearly stating who is the star of the show. Allow one of our talented artists to hand personalize this dramatic keepsake to your specifications to create a one-of-a-kind collectible that is sure to be admired by fellow thespians throughout the year. 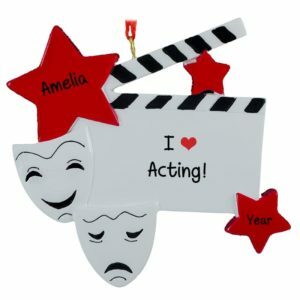 Many of our customers choose to use our eye-catching clapperboard with shimmering glittered accents to acknowledge the actors in a production, but the stage hands as well. 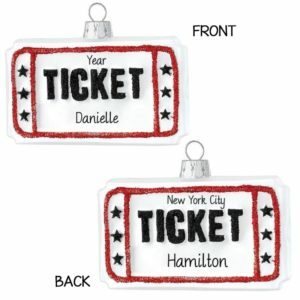 Contact customer service for a personalized quote for large orders of 10 or more like items. Of course, the perennial favorite “Clara” from the Nutcracker is one of our best sellers from this category too. Every girl is sure to delight in seeing this whimsical personalized holiday decoration on her Christmas tree.